Having been suckered -- er...INSPIRED!! -- by Gixx's Winter Dwarf Tomatoes thread last year, I decided to grow a couple of tomatoes in my winter indoor garden this year. Accordingly, I picked a couple of likey candidates, using extra early (limited sunlight even with supplemental lighting will require longer maturity time), small stature vines at maturity (must be container grown, 5 gal max), and cold tolerant/heat intolerant (average winter indoor temps will be mid-60's to low 70's at most, a little more in sunny windows) as criteria: Sophie's Choice and Zarnitsa. 55 days. 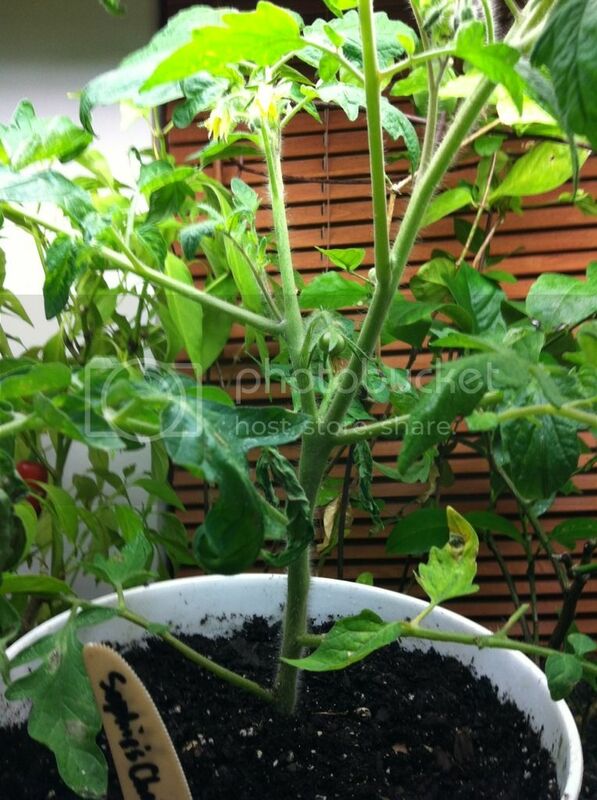 (Determinate) [Heirloom from Edmonton, Canada, sent to SESE from Dr. Male. Introduced 1997.] The best choice for an extra early tomato - highly productive, flavorful and large-fruited. By far the earliest variety we offer, 'Sophie's Choice' ripens ahead of all other extra-early varieties in our trials. Unlike other extra-early varieties, the fruits are flavorful and large, averaging 6 to 8 ounces and weighing up to 12 ounces. 'Sophie's Choice' has an orange-red exterior and deep red interior. 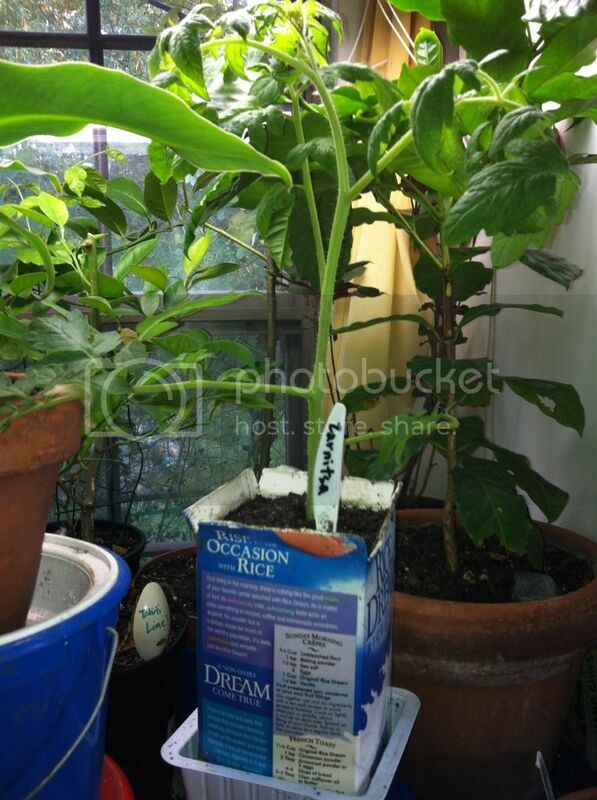 Produces large fruit on a small plant only 18 to 24" tall. Quality is best in cool climates. Does not handle heat or drought well. 60 days. (short indeterminate) 'Zarnitsa' translates from the Cyrillic as "summer lightning". An early bearing, productive, red fruited variety with fruit averaging 2" high x 2-1/2" wide. 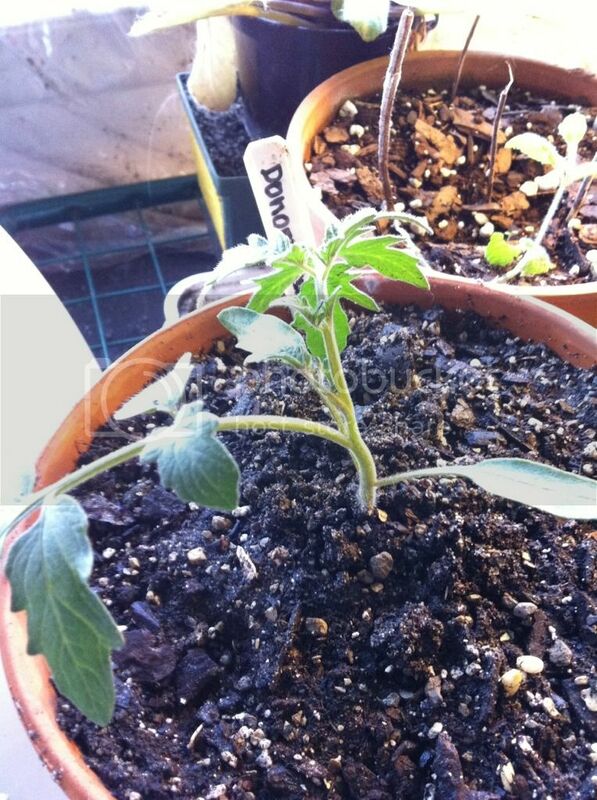 Vines are short and suited for staking or ground culture. An outstanding feature of this variety is its flavor which is well balanced, sweet, buttery, and smooth. Resists cracking. I started the seeds on Sept 2. Sophie's Choice was fast off the block. It was already uppotted once, and I'm starting to Uppot into final size containers now. 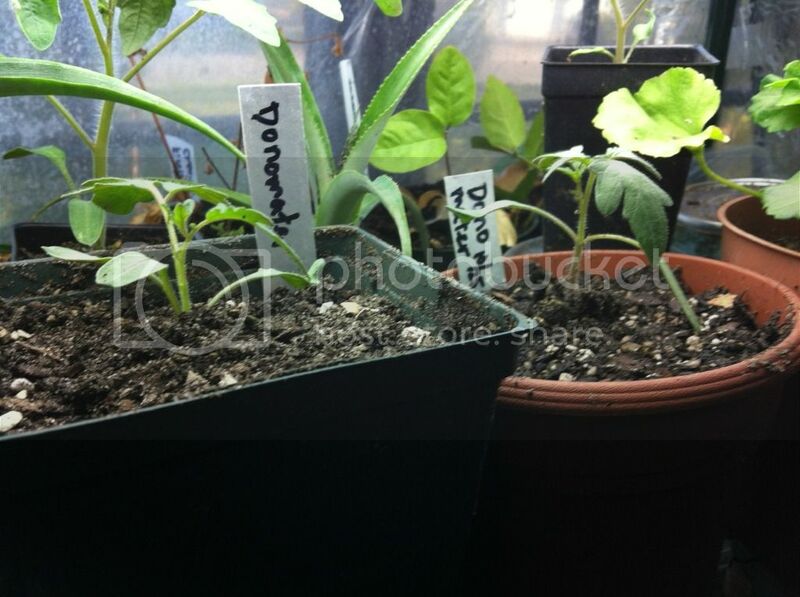 I just uppotted Zarnitsa seedlings from a community seed flat to individual containers. Is this a likely development in view of the extra early maturity date for this variety? I've never heard of such a thing. Do you suppose it was the aerated nettle/comfrey/compost tea I gave them at first Uppot? Maybe I should go look at Sophie 2-6 but S1 is the biggest. I gave Sophie 1 and 2 and the four Zarnitsas that I uppotted today EM enriched UCG water. I wonder what that's going to do....? Will be interested in your progress. I had five or six plants in my greenhouse all winter. It was a mild winter so I only had to heat a few times. Got lots of blooms, but trouble getting the plants to set fruit. 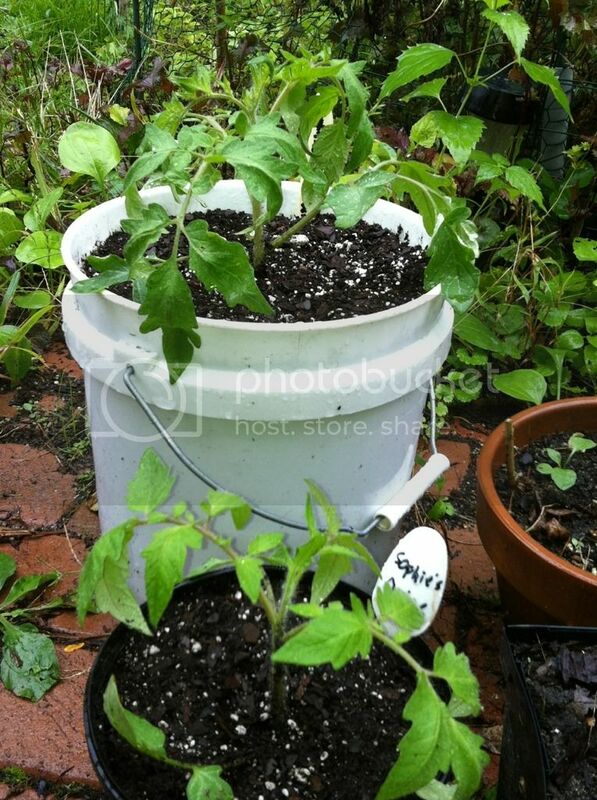 It was good, however, to get some plants started in big pots early in the spring. 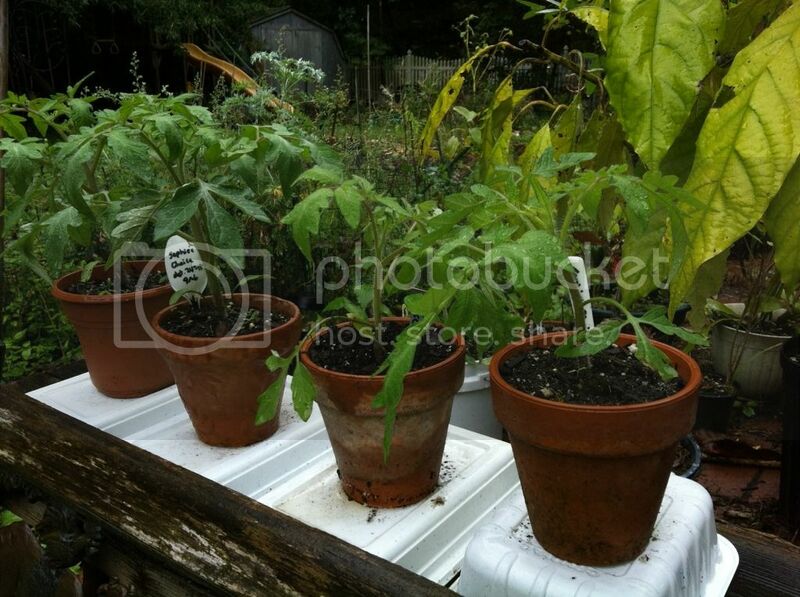 They were a pill to move from greenhouse to open sun but they gave me my first tomatoes of the year. Keep us posted! Homegrown tomatoes in winter (outside of places like FL and SoCal) is like the Holy Grail of gardeners! I hate the storebought winter tomatoes, so mostly eat a lot less tomatoes in winter, but have not so far solved the problem. never could grow a tomato in the winter. sunlight was just not strong enough. weak wimpy spindly plants, hand pollinated the blossoms, got nothing past marble size. never installed gazillion lux artificial lighting - it is apparently needed - the winter sun energy is just not sufficient for tomatoes, beans, peas.... regardless of how 'perfect' other conditions are provided. leaf lettuces, bib lettuce, spinach, scallions - no problem. Last edited by applestar on Wed Oct 24, 2012 12:45 pm, edited 1 time in total. Not sure how I missed this post from early Oct. But awesome Apple, even though I knew you were doing this. Your plants looks good, heck they even have flowers. on them. 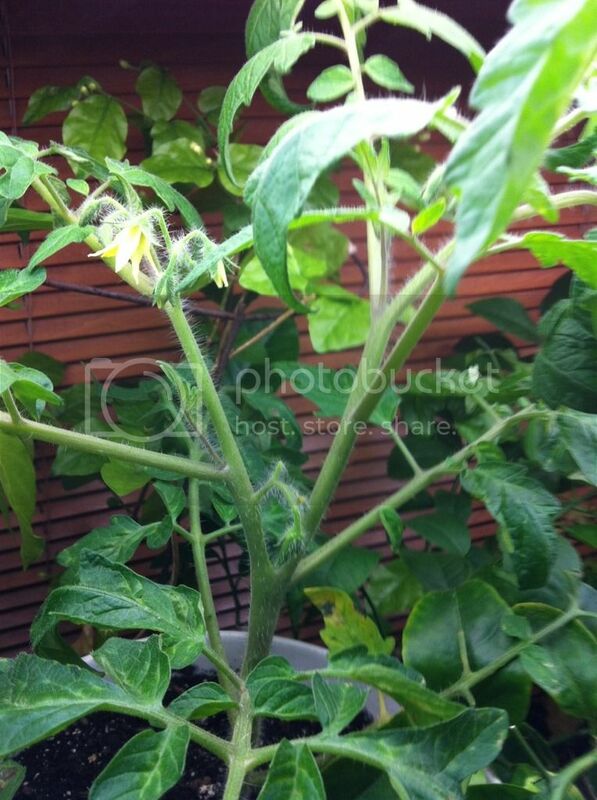 I have noticed buds on my Donomater F2 and Aces High F2. I have had mine outside this week it has been warm and I want them to get the boost of real sunlight. Apple as far as germination goes, after the sepals start to curl back they begin to get receptive. Yeah sorry i meant pollination. You are doing great in there. Get a toothbrush on those plants ASAP. 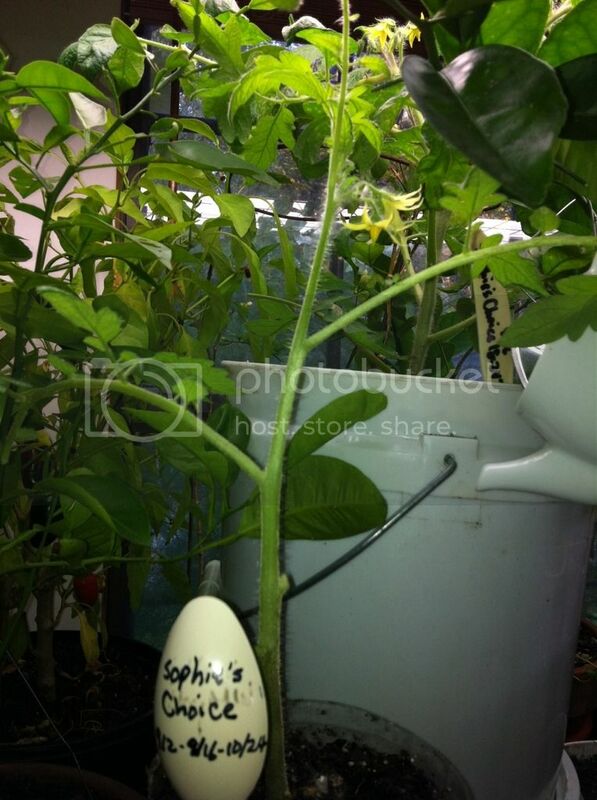 Sopie's could have fruit showing anytime now. The one flower all curled back may be done with pollen or very soon. But many more to get there. You are doing great and I admire the attempt, looking forward to hearing more about the outcomes. But the two that are big enough to be flowering do look to me rather indoor tomato-ish, slender and a bit stretched and slightly pale. I just think it's a very difficult thing to do. Egged on by you folks last fall, I did bring in one pepper and one tomato plant and try to keep them going through the winter. With the resources I could bring to the project, the results did not seem worth the effort. Sophie's Choice#2 and Zarnitsa plants pictured here ARE stretched out. I'm still trying to shuffle the overwintering plants around, and one upstairs SE window where some of the tropicals need to go isn't ready. So everybody has been overcrowded and prime lighting have been only available to the select few. 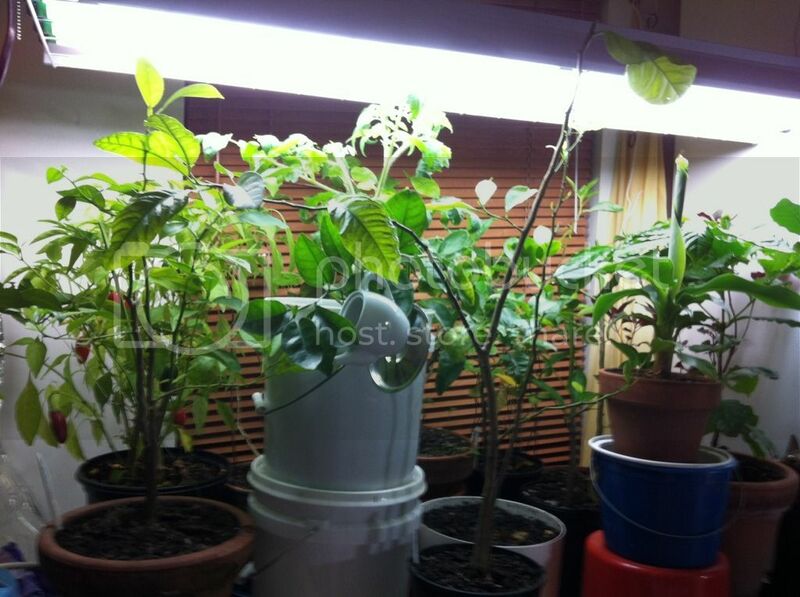 But they have been given space under the best lighting now so hopefully they will step up to better form. 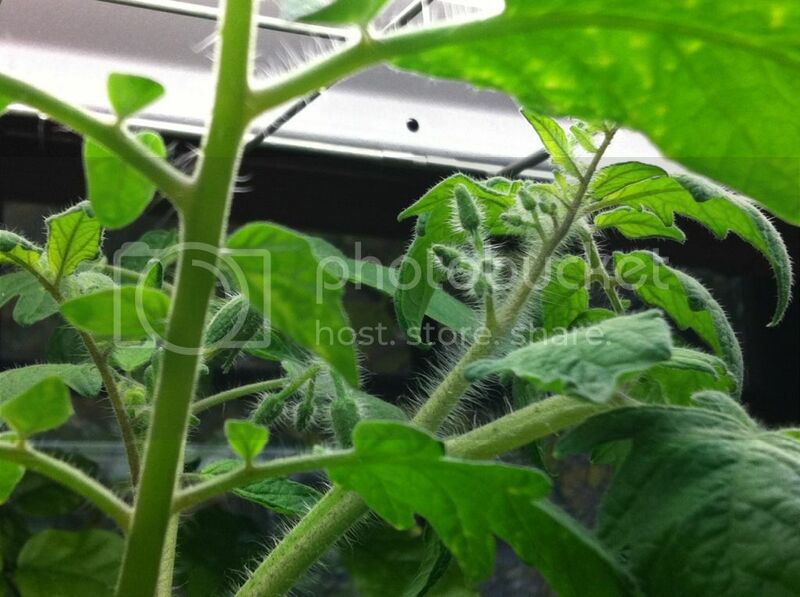 In the photos above, Sophie's Choice #1, Donomater F2's and Black Krim seedlings have been receiving the red carpet treatment from the get go so those are more indicative of how they should look if you are serious about doing this. 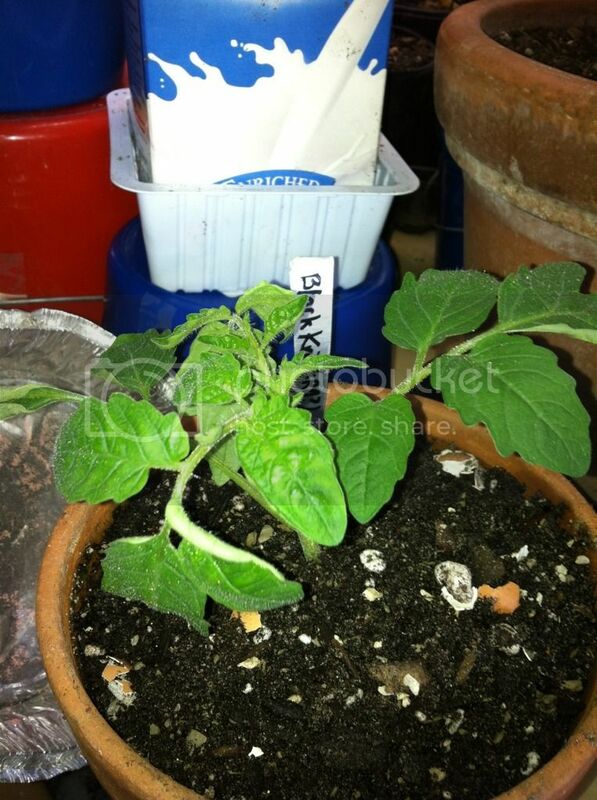 Not so much "indoor" tomato but container size is also a directly affecting factor. When we're starting them in spring, we can keep them in small containers because we know we're going to plant them out in the ground later and then they'll jump exponentially in size and vigor. 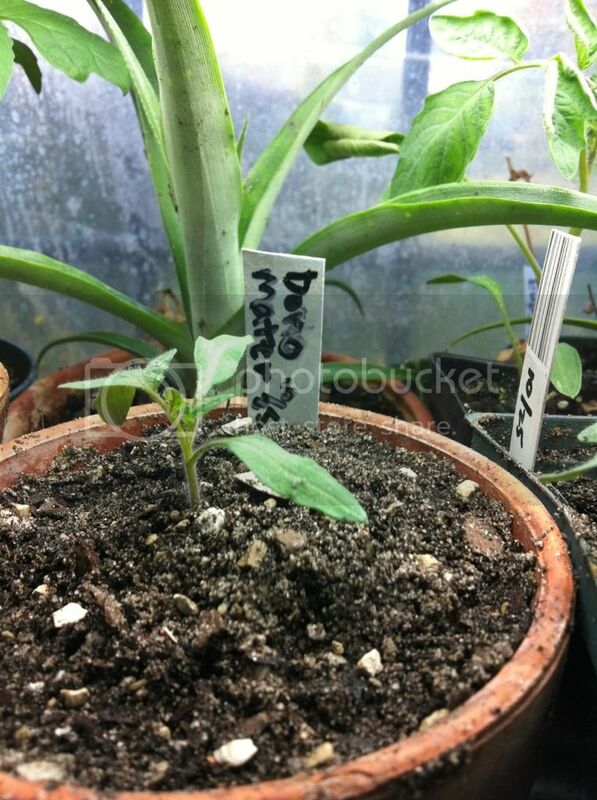 It's easy to think you can keep them in smaller containers in the same way as long as they are not really pot bound (and we're familiar with how big the plant would be to get to that state) but if you uppot ahead of the roots reaching the sides of the container into much bigger containers, they respond by growing much stronger. As for that "indoor" appearance, knock into them and push the leaves and stems around... Fluctuating day/night temps would be beneficial... A fan would make the best strength trainer, etc. Those are some of the other conditions you need to provide to overcome the spindly weak growth and to toughen them up, but it would be really difficult to match the tough-love of Mother Nature. Then after asking me what I wanted it for and giving me hard time about wanting to use his toothbrush on tomato plants and making them unusable for him (I said get replacement brushheads and it should be perfectly fine to share with my tomatoes ) -- he said he'd quit using it months ago because he had better check up results when he brushed with non-electric regular toothbrush (never mind that that's what I always maintained...), and he didn't care what I did with it. I had to recharge the battery overnight, but Sophie's Choice blossoms have had their first tickling session this morning. I'll try again after lunch and this time, hold a black plastic spoon under them to see how well the pollen are being released. Tried catching the pollen earlier in the afternoon with black plastic spoon while using the toothbrush, and it was gratifying to see how well that works! Consensus by the kids is that the ultrasonic toothbrush definitely buzzes like bees. I think I see a better way to secure the 24" fixture for better effect so gotta get that done as well. A bloom in the first truss of Sophie's Choice that I'd tapped to pollinate DID take! 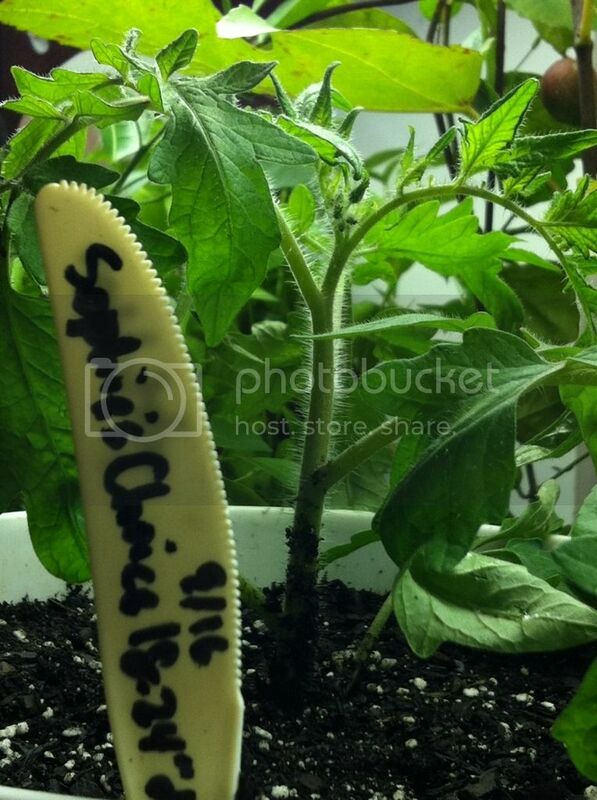 Seeds were started 9/2 so 54 days to first sign of baby tomato i.e. maturity. -- right on schedule. YAY!!! Looking good! Keep us posted!